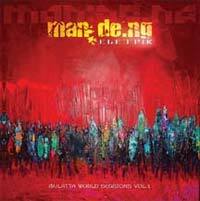 tracks: "Cyber Fula" and "Dakala"
Mandeng Eletrik began when WOFA, a seven-piece African percussion/balafon ensemble from Guinea Conakry, was visiting New York City and announced that they were eager to play with musicians from the local jazz, R&B, improv and electronic scene. A special jam session was arranged and recorded. The tracks were then given to New York electronic collective Organic Grooves, who mixed, edited and digitally enhanced the beats. The duo know known as Alien Chatter began at the Beverly Hills Hotel in the year 2000 when pianist Rodney Lee and drummer/percussionist Satnam Ramgotra met during a "casual" gig for diamond buyers. Rodney, behind a grand piano, and Satnam, with his tablas, discovered the harmonious nature of the tabla when fused with the piano and modern beats. The concept of fusing the genres of music was born. A year later, Alien Chatter had begun. 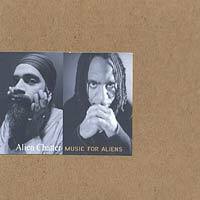 Their first album, "Music for Aliens," made its debut in April, 2003, and received a positive response from both the Asian Underground musical movement and from the Jazz industry. Ramgotra has played percussion and tabla with everyone from Beck to Sting and has worked extensively on film and television music. Lee is equally at home in jazz, R&B, funk and pop. Together, these two veterans explore a unique territory that combines Indian music with jazz and electronica producers.